Confession: I have strayed from my typical brown eyeliner...Yes, I have found a way to bring a little more color and sparkle to my everyday neutral eyeliner look: Pixi's PixiGlow "Straight On Till Morning" Liner from the PixiGlow Tinkerbell Collection! If you haven't had a chance, be sure to check out my other reviews of Pixi's delightful PixiGlow Collection: Pixi Fairy Face Palette and the Pixi Piroutte Pink Nail Colour. 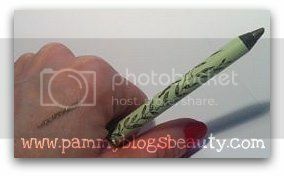 I am already a huge fan of the Pixi Endless Silky Eye Pens (be sure to check out my review!). They are silky soft and glide on almost like a liquid. But, they are in a user-friendly pencil form. They glide on easy, pack major pigment, and last all day. What else could one possibly want in an eyeliner? 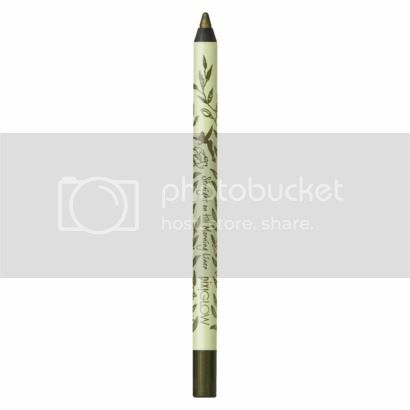 This PixiGlow "Straight On Till Morning" is a great addition to my eyeliner collection. A "neutrals girl" at heart, my brown liners get the most use out of my collection. 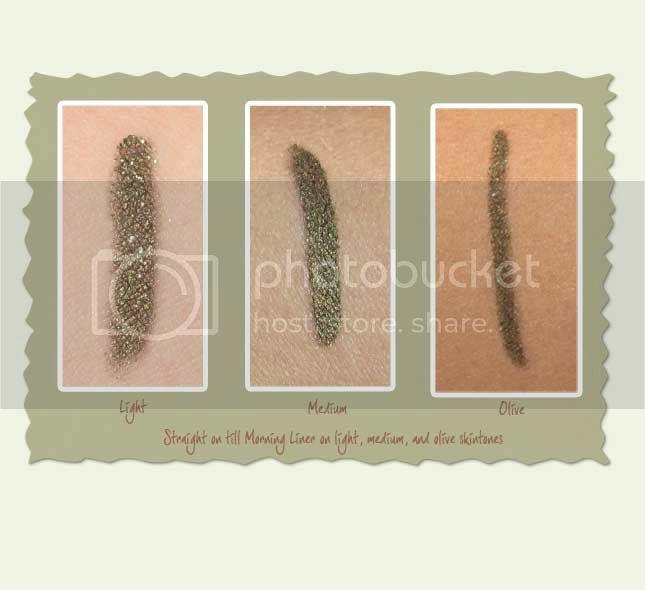 This beautiful sparkly olive-jade green glimmer liner is a great way to shake up my neutrals! It wears like a neutral but has just enough color to perk up my whole look. It is just so darn wearable...and it doesn't scream "I'm wearing colored liner". Part of the Spring 2012 PixiGlow Tinkerbell line available at Target. Gel formula is waterproof and long-lasting. Tip: Put pencil in the fridge before sharpening. It has a super soft tip. I just adore this color! I have been reaching for it continuously. It is destined to be my new favorite! It is a great way to add just a bit of subtle color to your look without looking over-done or obvious. Fellow brown and neutrals lovers: this is a great way to do color! Have you tried any of the PixiGlow liners? Also, any other fans of pencil/gel liners? They are quickly becoming my favorite form of eyeliner. So easy to apply! I have this liner and love it as well. I still think it's a neutral colour, but you're right, it does make it more "colourful".